We went to watch Phoenix Forgotten, which brought back the year of 1997. As I sat there, it occurred to me for the first time that the beginning of my PTSD coincided with the Phoenix Lights. Probably many of us living here in Phoenix metro in 1997 remember the lights that moved over the Valley in March. For me, 1997 was also eventful because it involved numerous doctors throughout the year. 1997 was the year I was diagnosed with PTSD. Yes – six years post-main event. I wasn’t in school in 1997. I was taking a year off, the year after college and before grad school. There were only two things on my agenda for 1997: write poems and train for my black belt in Tae Kwan Do. I was also working. So I was doing all of that, just minding my own business, like you do, and then, one night, I went to bed feeling sick to my stomach. As soon as I closed my eyes, my heart jumped in and crashed the party, like, Hey! I’m here too! Whheeeeeee! Cannonball!! !… and I couldn’t breathe, and I thought I was going to die of a cardiac event. Then I was waking up. It was morning. What the hell just happened? It happened again the next night, and the next and the next. It got to a point where I was too gun-shy to go bed. Going to bed had become a horrifying prospect, so every night, I put it off until I was passing-out tired. I don’t know why I didn’t go to the doctor sooner. Eventually, I did go to the doctor, because I had an episode that was different than the others, and that was the proverbial last straw. In that episode, I was trapped in another dimension and I was going to die for sure. Somewhere between awake and sleep, something happened. If I was completely asleep, it would’ve been a nightmare. Whatever this was, it was psychedelic and real, like, 3D real… and that was on top of the physical Armageddon that was my new normal. After I survived that night, I finally went to the doctor. 1997 became a year of medical mystery. I went back and forth between different internists and specialists, cardiology and gastroenterology and cardiology again, everyone referring me to everyone else. 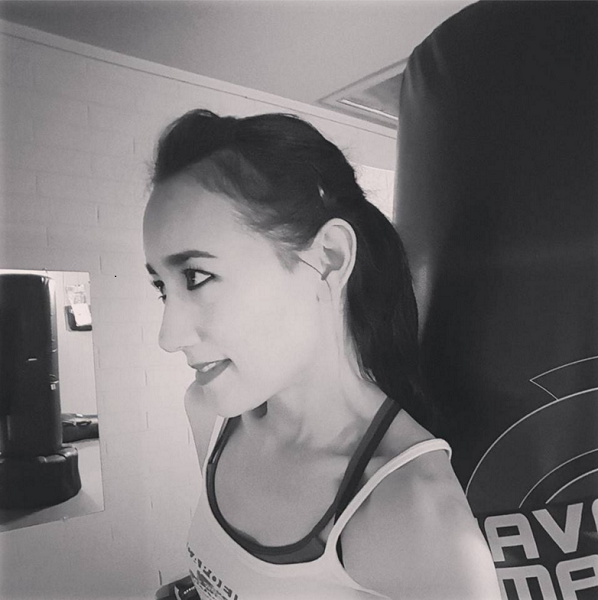 I was deemed healthy – good news! – but I was still having these ridiculous episodes. Then my baffled first internist started asking me questions about my background. When it came out that I was a combat vet, she referred me to a shrink. The shrink explained that panic attacks mimic heart conditions and other physical issues, which was why no one thought of the PTSD possibility. Why did it take so long for the PTSD to manifest? He said it wasn’t unusual for vets to come home fine and then experience a trigger years later. The trigger could be anything, he said. So what was my trigger? We’ll never know, and it doesn’t matter. All we know is that my PTSD was triggered by something in the spring of 1997. Coincidentally, I’m sure, the Phoenix Lights also happened in the spring of 1997. I sat in the movie theater remembering and pondering all of this, and that is how my non-review movie review became a post about my PTSD diagnosis. I can’t be objective about this movie, but I can say that in my opinion, it wasn’t bad. 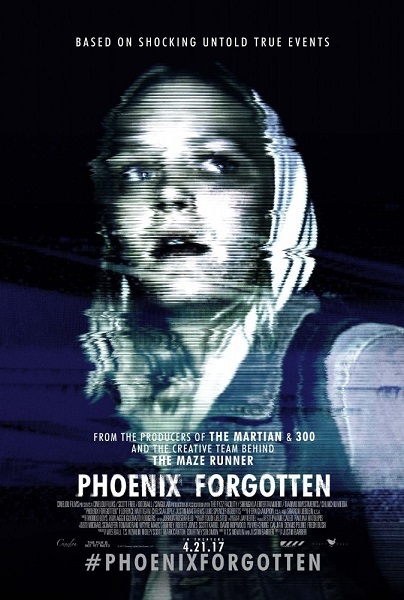 Phoenix Forgotten begins on a robust note, then bleeds out into the Found Footage horror movie sub-genre. In my experience, Found Footage movies made after the first Blair Witch Project are doomed to the basement where Bad Horror Flicks live. I often really enjoy Bad Horror Flicks, but I can’t even say whether this movie was bad enough to qualify as that bad. If you’re intrigued by the Phoenix Lights and/or you’re a fan of Found Footage horror movies, you may dig this one.